Taylor Swift regularly appears in celebrity news, but she has lately been featured in legal news after accusing Denver radio DJ David Mueller of groping her during a 2013 “meet-and-greet.” Mueller denied the accusation and sued Swift for defamation. Swift countersued Mueller for assaulting her. Swift’s lawyers have advised the court that they plan to call an expert in feminist studies to explain why men assault women and to compare Mueller to men who perpetrate assaults. Mueller has filed a motion to exclude that expert testimony. Swift and Mueller have very different perceptions of the incident that underlies the lawsuit. The key dispute is whether Mueller merely had his hand near Swift’s buttocks as he leaned close to her while pictures were taken, or whether he reached his hand under her dress and groped her. Mueller does not deny that Swift was groped, but blames the groping on one of his superiors at the radio station where he was employed. Mueller alleges that country station KYGO fired him after Swift accused him of touching her. Swift testified in a deposition that she is sure Mueller was the culprit. She said the touching made her feel frantic, distressed, and violated. At Swift’s request, the judge presiding over the dispute ordered photographic evidence sealed so that it would not affect potential jurors. The gossip site TMZ nevertheless published the photograph. The photo shows only that Mueller’s hand is behind Swift, below her back, and that Mueller is grinning. The location of his hand, and the back of Swift’s dress, cannot be seen in the picture. The photographer testified in a deposition that Swift told her after the meet-and-greet that Mueller grabbed her inappropriately. The photographer also testified that she observed a shocked expression on Swift’s face and saw her make an abrupt movement when Mueller was next to Swift. After the meet-and-greet, Swift reported the touching to her mother, who is also her manager. Swift’s mother reported the incident to the radio station, which reportedly fired Mueller for violating his morality clause. 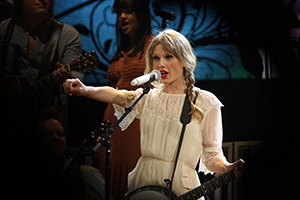 Mueller sued Swift and the radio station in 2015, alleging slander and interference with contract. Swift countersued, promising to give any damages she wins to charity. Last year, Forbes placed Swift on top of its annual list of highest-paid celebrities. Sexual harassment and assault are motivated by the perpetrator’s need to assert power and to protect the perpetrator’s status. Mueller allegedly felt threats to his job, to his identity as a radio personality, and to his masculinity before he met Swift. His status is therefore consistent with that of a male who would engage in sexual assault or harassment. Victims of sexual assault often delay reporting the incident. Swift’s failure to make an immediate complaint is therefore consistent with the behavior of a sexual assault victim. Mueller, unsurprisingly, filed a Daubert motion to exclude the expert’s testimony. The motion claims that de Vos, who has no training in psychology, is unqualified to create a “profile” of sexual assault perpetrators or to decide whether Mueller fits such a profile. Mueller contends that de Vos arrived at her opinion without ever meeting or interviewing him. The motion also cites appellate decisions (primarily from criminal prosecutions) holding that a “profile” cannot be used as evidence of guilt. Those cases generally hold that people who fit the profile of a criminal are not always criminals, and that profile evidence amounts to unfair stereotyping that is unduly prejudicial to the right to a fair trial. Mueller argues that many men experience threats every day to their jobs and masculinity, and that most of them do not respond by committing sexual assaults. In Mueller’s view, any relevance the expert’s opinion might have is outweighed by its potentially prejudicial influence on jurors who might give it more weight than it deserves. The court will need to decide whether criminal precedents apply to a civil case, where constitutional concerns about unfair evidence are less pressing. There is reason to question, however, the relevance of profile evidence when the issue before the jury is whether Mueller touched Swift inappropriately, not whether he is the kind of person who might do so. The motion addresses de Volo’s first opinion but not the second. At least in criminal trials, it is common for experts to explain why a victim might delay reporting a sexual assault. That kind of testimony might be equally relevant in a civil trial, and Mueller does not appear to oppose it. Photo Credit: Taylor Swift, Eva Rinaldi, Attribution-ShareAlike 2.0 Generic (CC BY-SA 2.0).